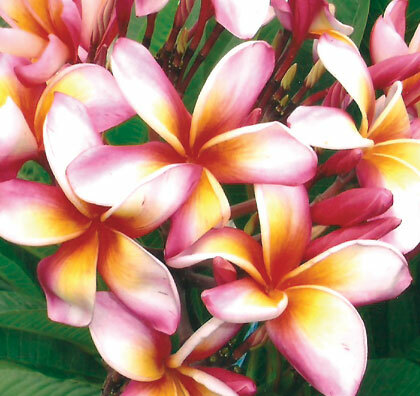 4732 Plumeria Pink Fancy, grafted ? 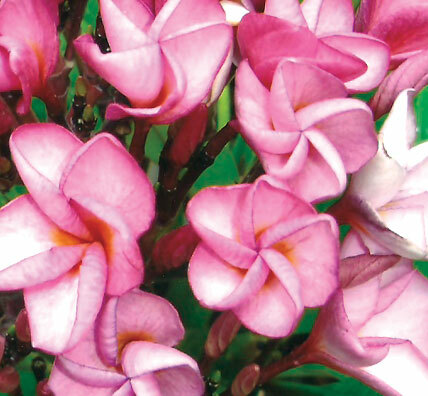 A new hybrid from Thailand with white center and mauve trim. A real beauty! 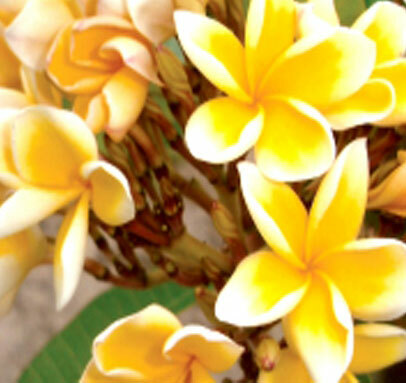 Very fragrant flowers. 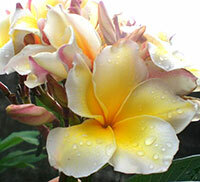 5762 Plumeria Poung Roi Hom, grafted ? 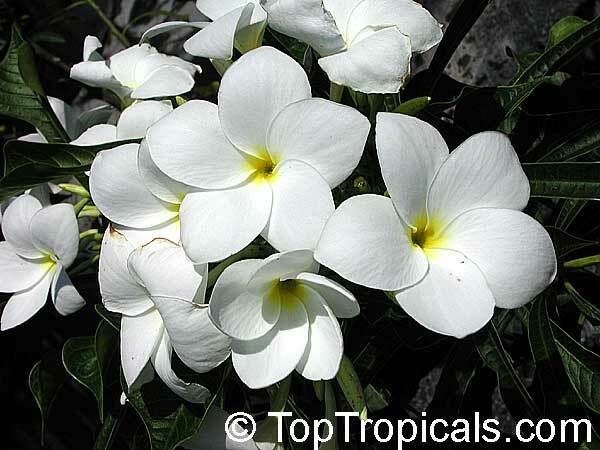 5763 Plumeria Poung Yok, grafted ? 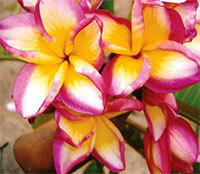 4584 Plumeria Purple Gold (P6), grafted ? 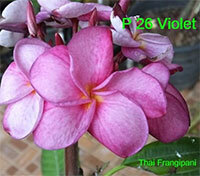 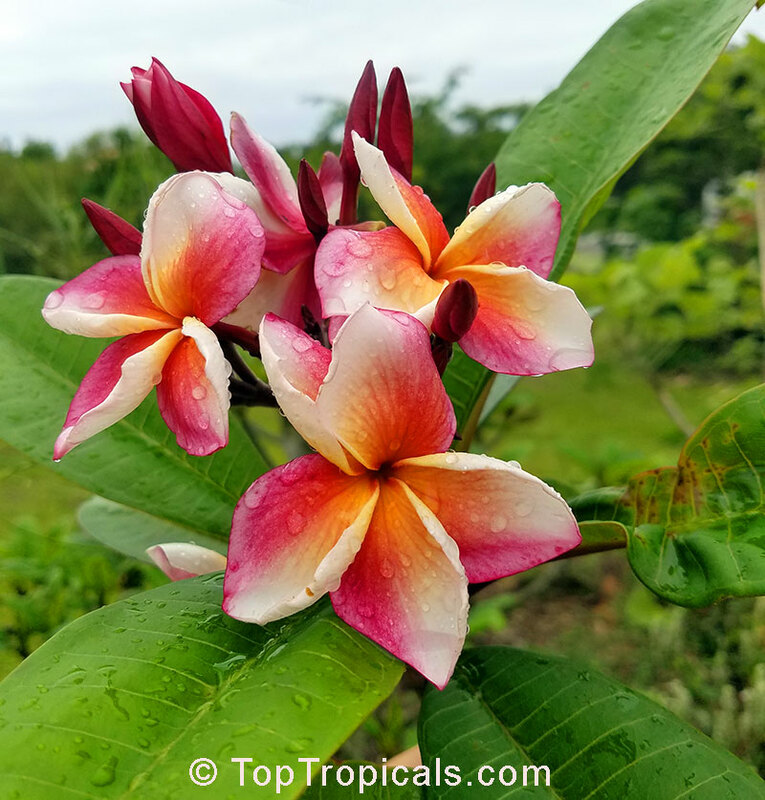 Plumeria variety P6 - a new hybrid from Thailand. 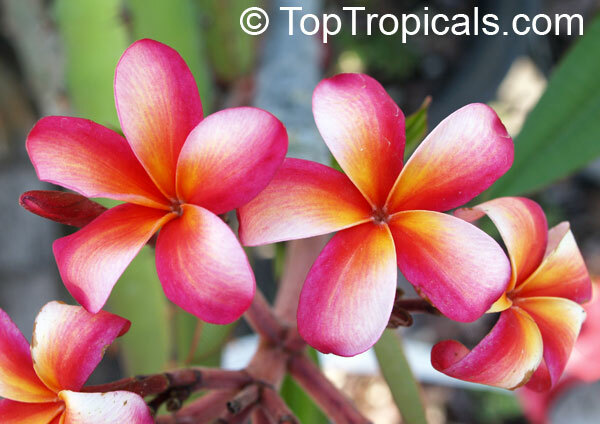 5764 Plumeria Rean Thong, grafted ? 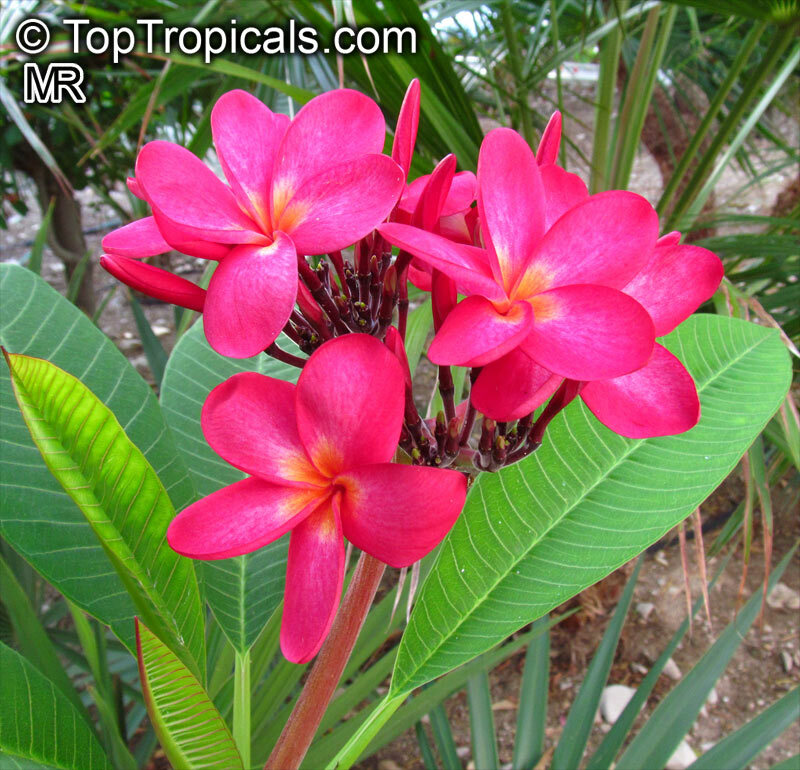 5765 Plumeria Red Variegated, grafted ? 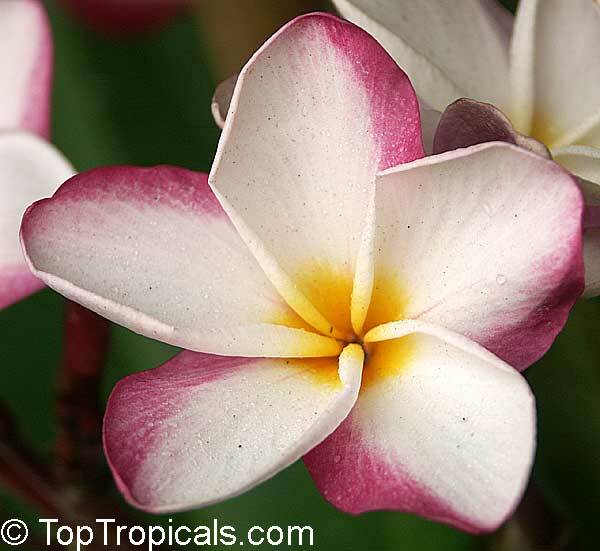 5767 Plumeria Sally, grafted ? 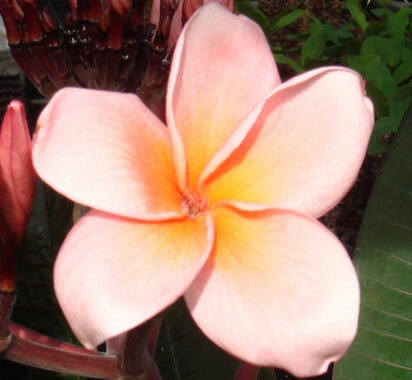 5768 Plumeria Salmon Brown, grafted ? 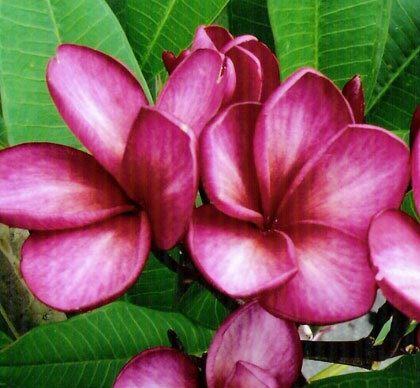 4583 Plumeria Sang Aroon, grafted ? A new hybrid from Thailand. Fragrant multi-colored flowers. 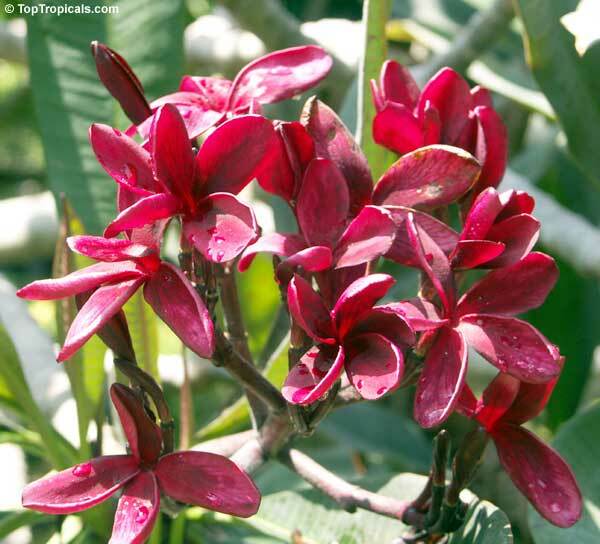 5769 Plumeria Siam Ruby, grafted ? 5770 Plumeria Som Pa Ruay, grafted ? 4588 Plumeria Thong Taweekun, grafted ? A new hybrid from Thailand. 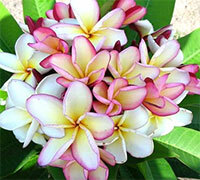 Fragrant multicolored flowers: peach, yellow, white, pink combination. 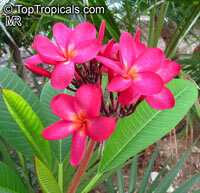 5759 Plumeria Violet (P26), grafted ? 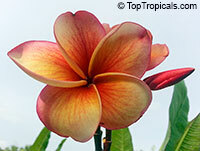 5771 Plumeria Witsanu Gold, grafted ? 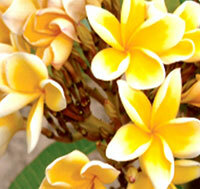 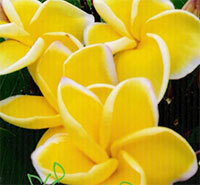 Sirimongkol - a showy yellow variety with the white boarder, the most fragrant one. 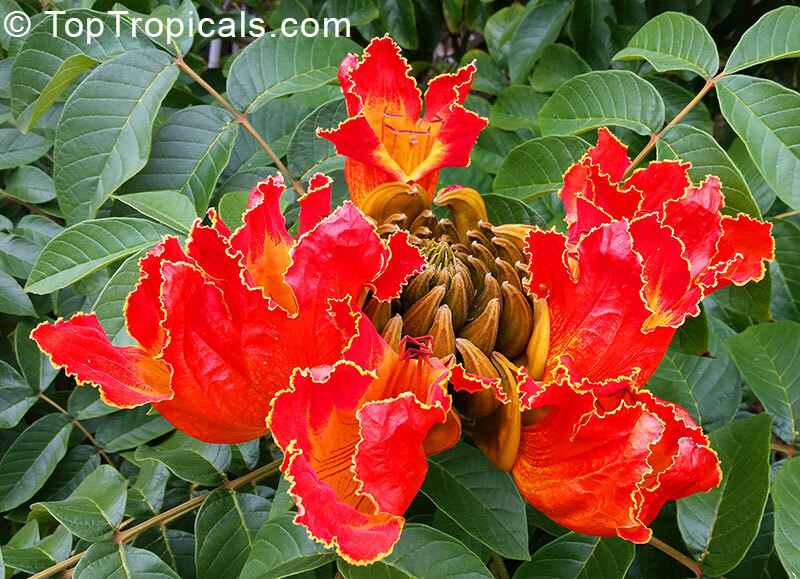 This showy shrub with highly ornamental interesting foliage is native to the paleotropics and neotropics. 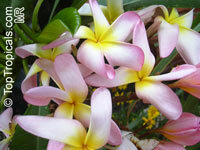 It has erect branches and in nature can grow to a height of up to 24 feet. In cultivation, it stays much smaller and often used as a container specimen, sometimes in interior design. 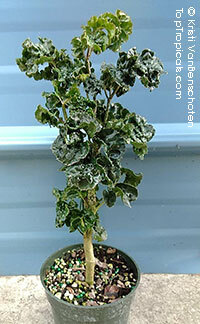 Leaves are commonly variegated with margins of white or pale yellow, but can also be entirely dark green. 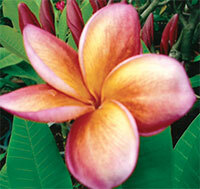 This slow-growing tropical foliage plant makes a perfect houseplant and requires very little care. 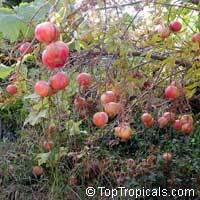 The variety Salavatski is also known as Russian-Turk. 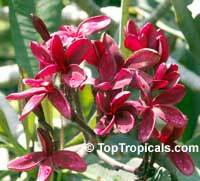 Very large red fruit, with red arils and sweet/tart juice. 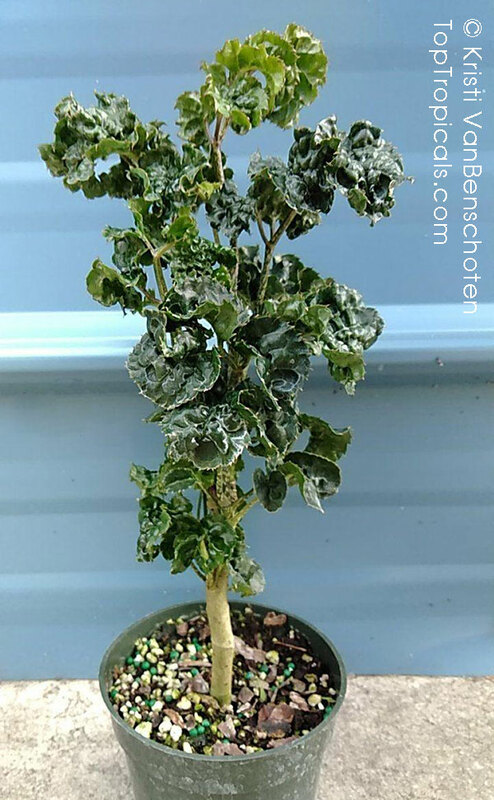 It is extremely cold hardy, imported from Afghanistan to the USDA Station in Byron, GA. Has survived -6F in Georgia, so could be grown as far north as coastal New York and New Jersey. 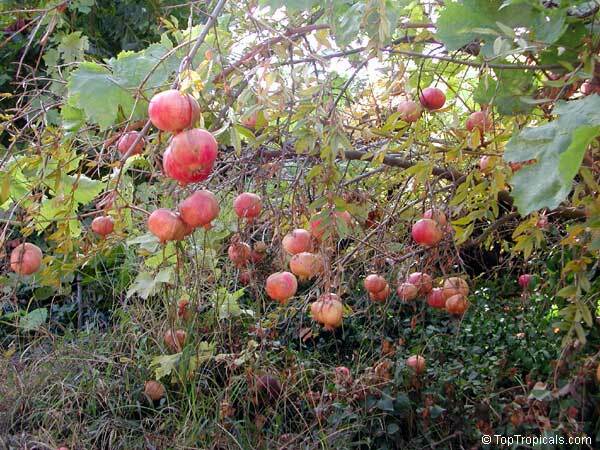 Russian pomegranates survived winters where the popular Wonderful variety was killed to the ground. 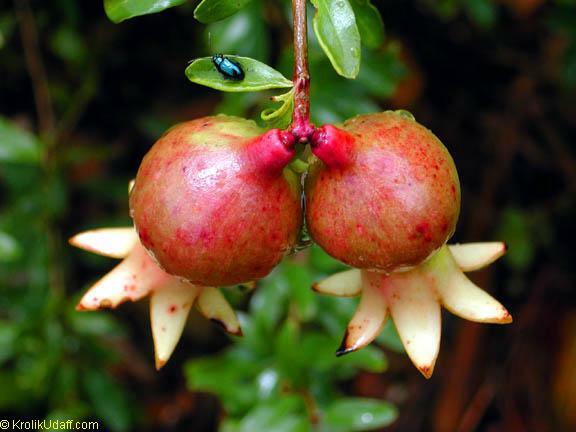 Dwarf Pomegranate - compact fruiting shrub that is often used for bonsai. 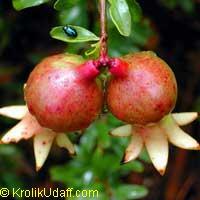 Fruit are smaller than regular pomegranate, but also edible, although somewhat acid. Mostly used as cute ornamental specimen.